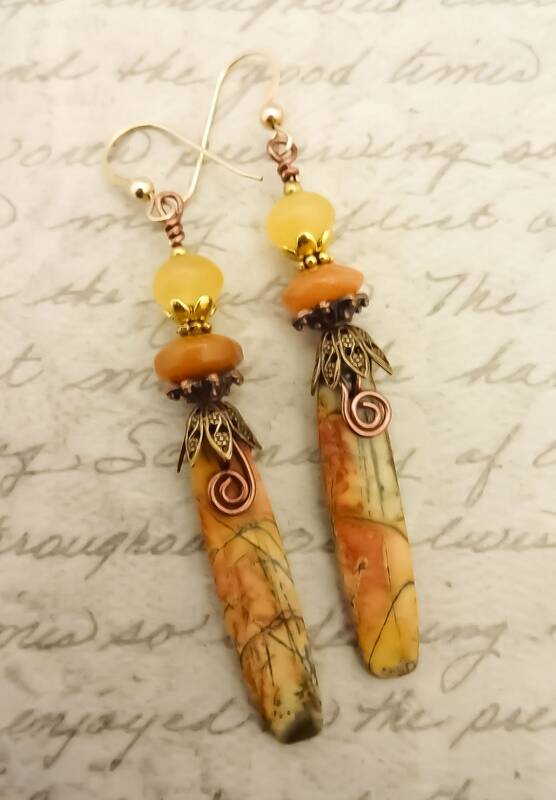 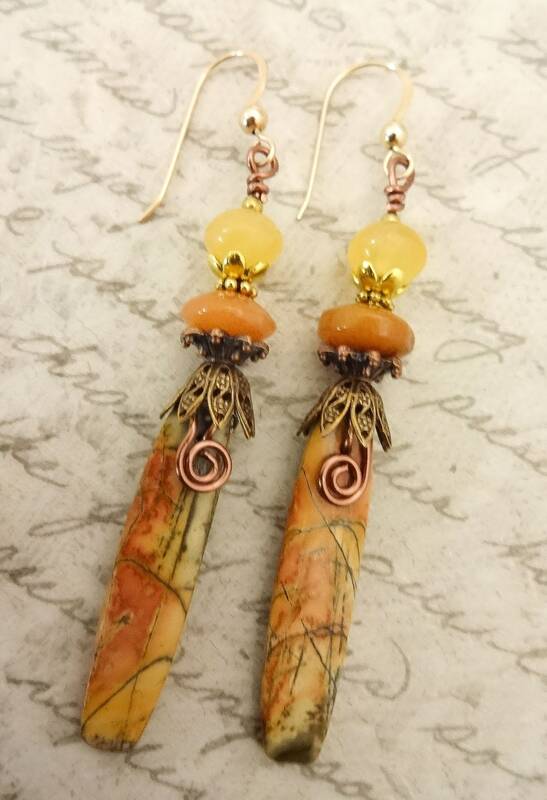 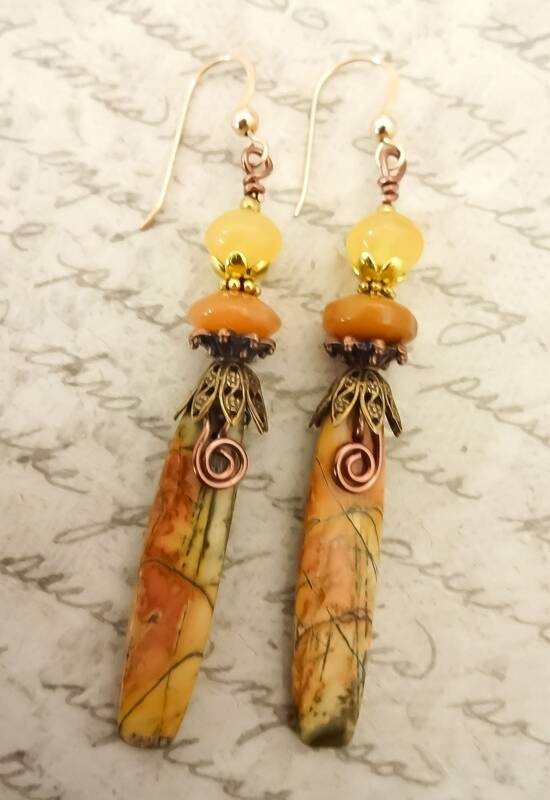 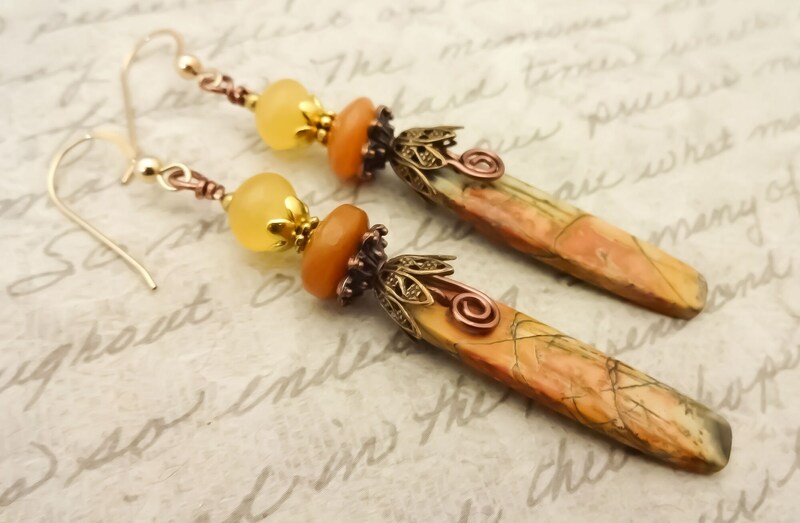 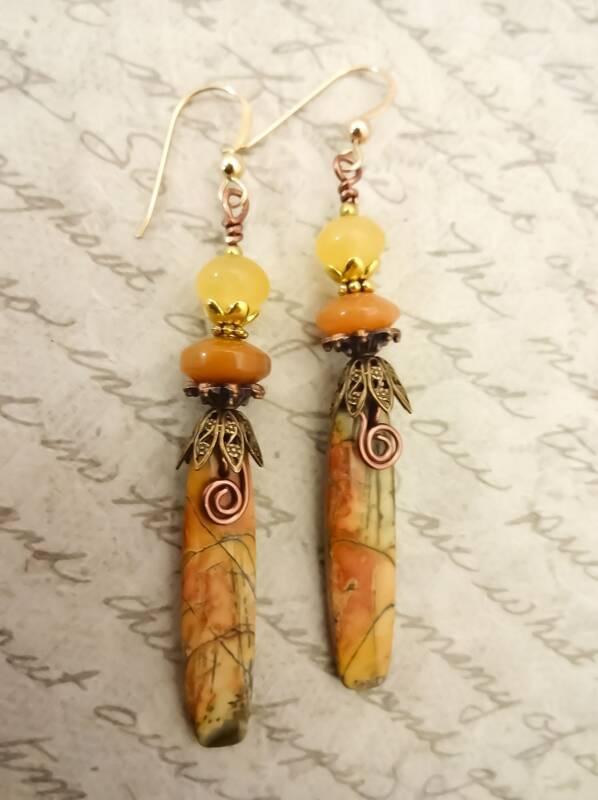 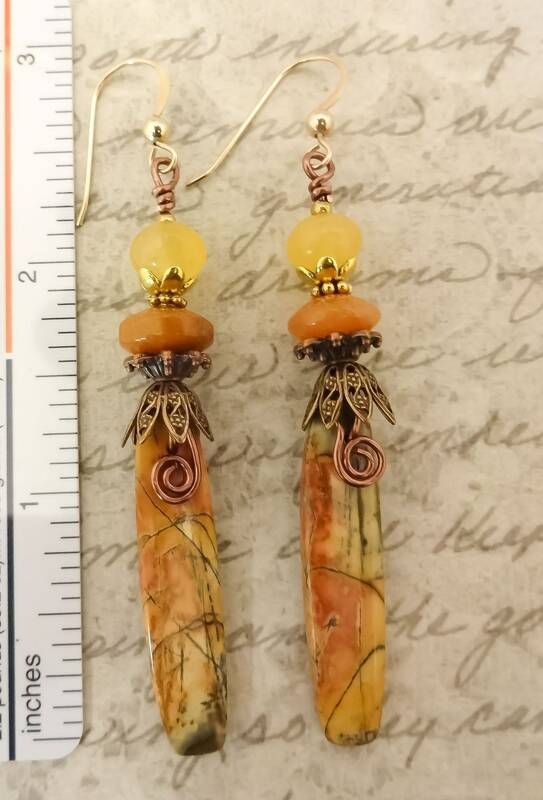 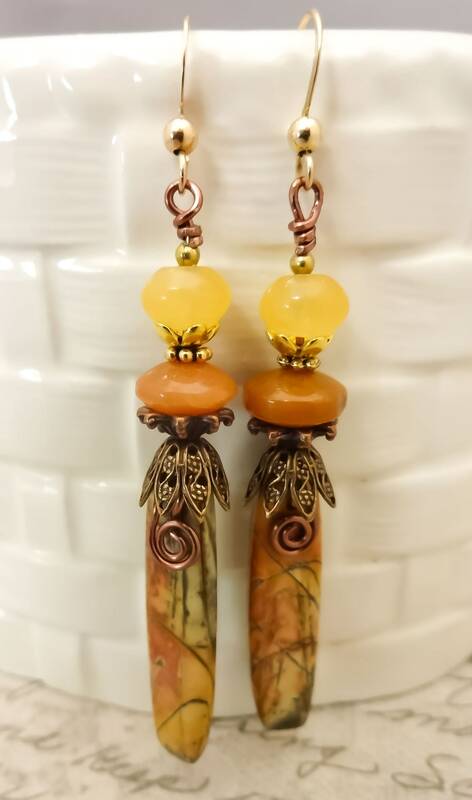 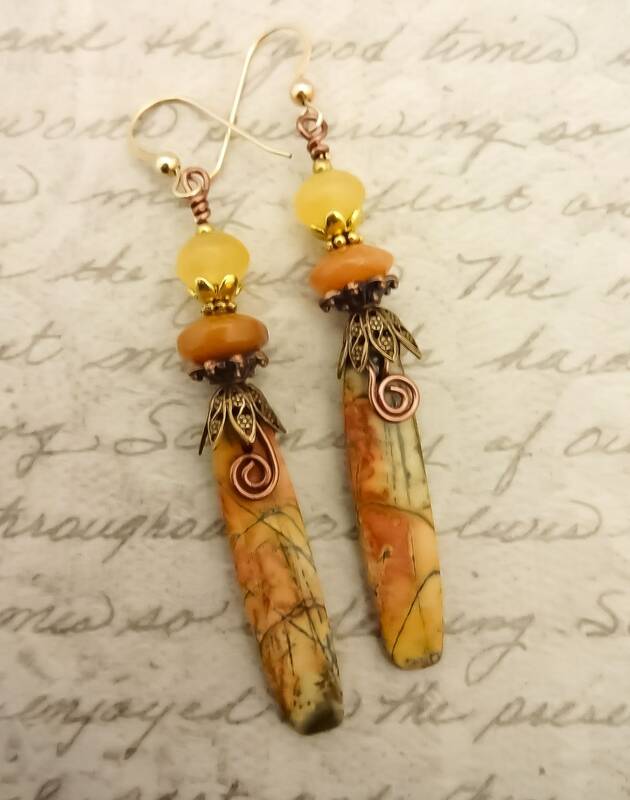 These gorgeous earrings feature hand crafted Red Creek Jasper sticks wire wrapped with vintage bronze colored wire. 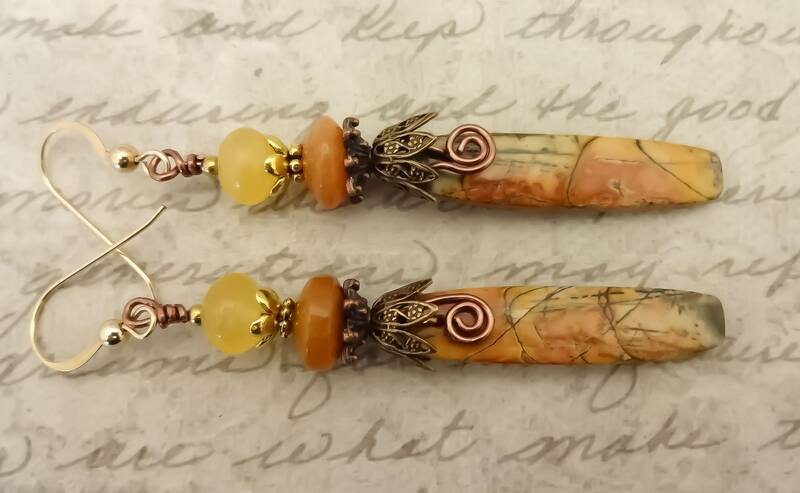 I wired the sticks to a Red Aventurine rondelle, a Yellow Jade rondelle and beadcaps in antique brass filigree, copper and shiny brass flower bead caps. 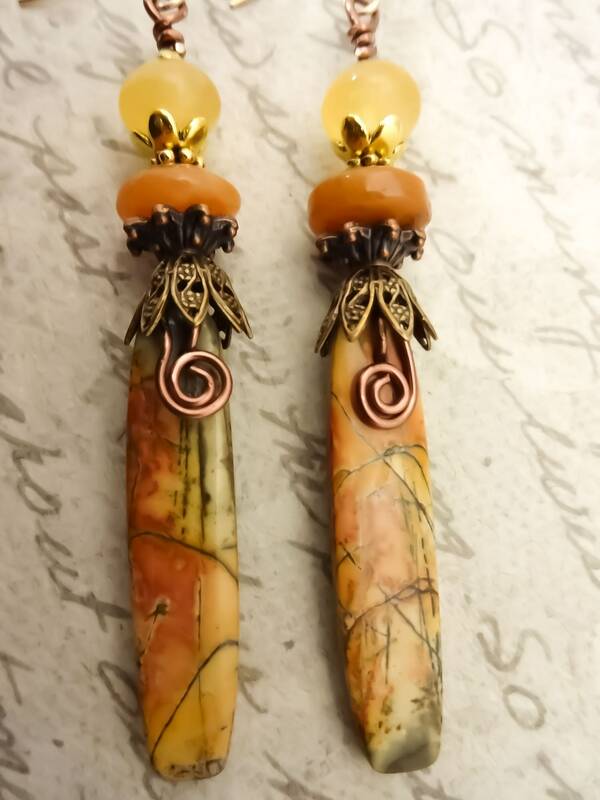 A wire spiral decorates the front of the stone sticks.